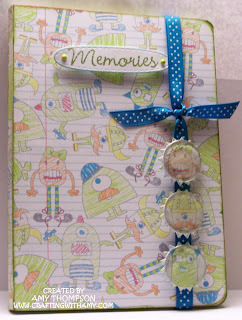 Here I am showing a notebook that I covered with this cute monster paper I printed using my Imagine. Emma from My Creative Time has inspired me to dust off my Imagine and put it to use. I also love this new cartridge and decided that I really needed to use it. I used the print and cut for this paper and cut two pieces out at 7.4 to make sure that I could cover both the front and the back of the notebook. I then traced the notebook, cut where I traced, and then used my corner chomper to round the corners just like the notebook. I inked the edges using Distress Ink in Peeled Paint, wrapped the ribbon around the notebook and then tied it & used my ATG on the back of the notebook. 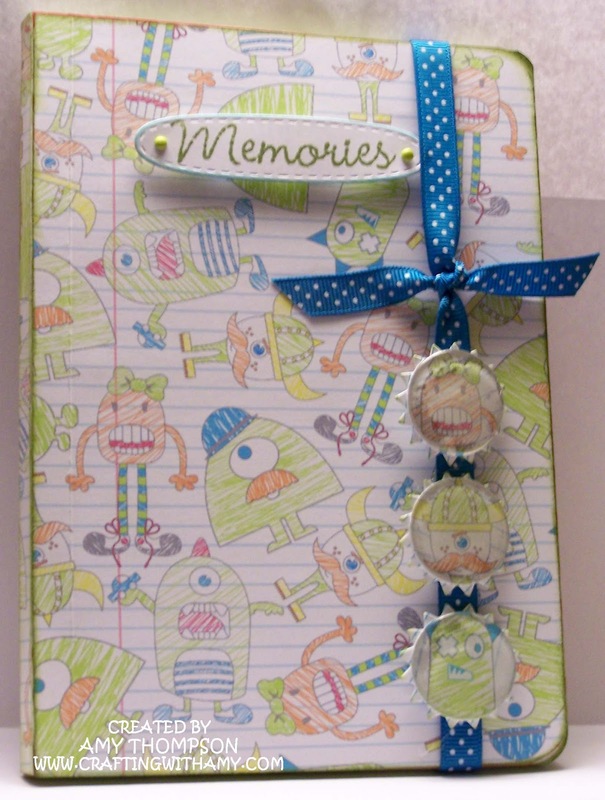 Since I had some paper left I used my Epiphany Crafts (round 25) to cut out a few monster faces, used the die from Build a Banner Kit to cut out the pieces behind the faces, and then hot glued them on to the ribbon. I am entering this into the challenge over at For Your Inspiration Challenges - Challenge 24. Thank you for stopping by today. I hope you like my doodle notebook. P.S. Don't forget to check out the weekly stamp giveaway and the monthly challenge over at Crafter's Companion Challenge Blog. 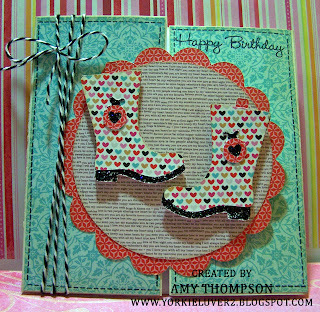 I am entering this card into a challenge over at 4 Crafty Chicks #78 Inspiration Challenge and Fantabulous Cricut Challenge #99 Fancy Trims. 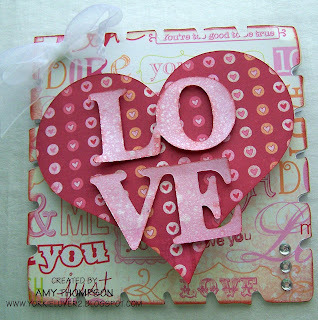 The paper is from scrapbooksteals.com that I ordered and haven't had a chance to use. Since one of the challenges is color inspired so I thought lets use this new paper. I think its adorable and works perfectly for this challenge. I rounded the corners using my corner chomper, inked the edges using Distress Ink in Walnut Stain, & the ribbon was in my stash. 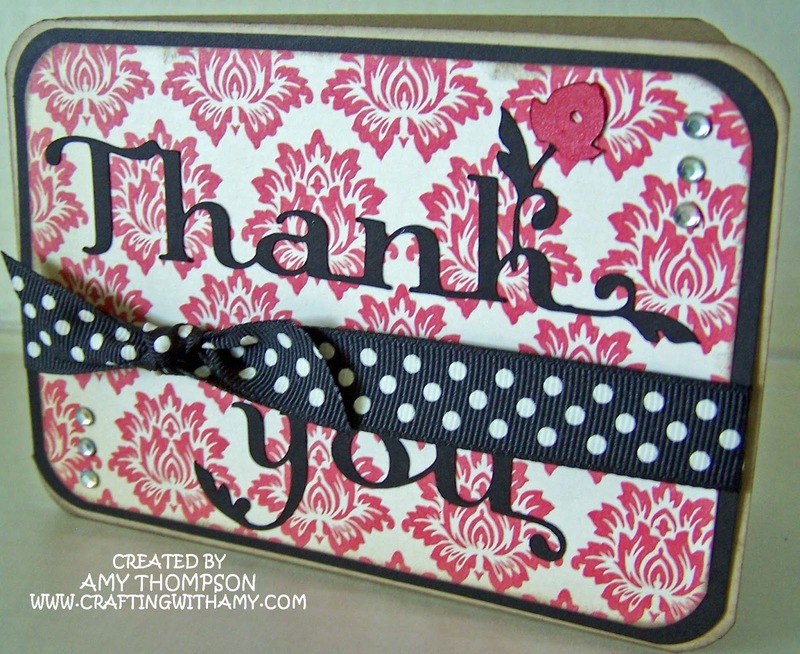 I cut the "Thank You" from Lovely Floral Cricut cartridge and I think that was a little over 4 inches long. I think this card looks clean and simple. I hope you enjoyed my card today. Thanks for stopping by my blog today. 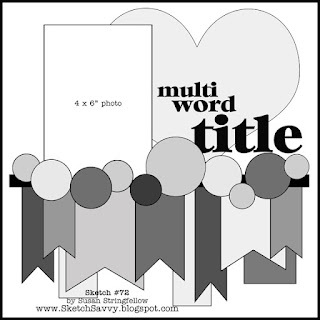 Here is my entry for the DCWV February Stack A Holic Template Challenge. Below is a copy of the sketch that you have to follow. I actually had another layout but decided to go with this one instead. I will post that one at a later date. 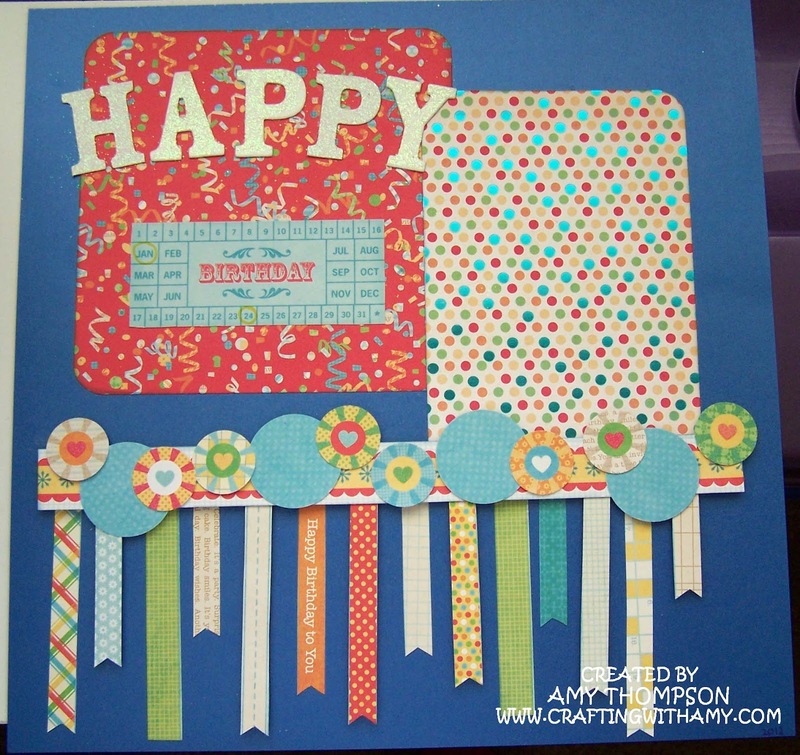 I used an older stack for this challenge called The Celebration Stack that was available at Joann's. 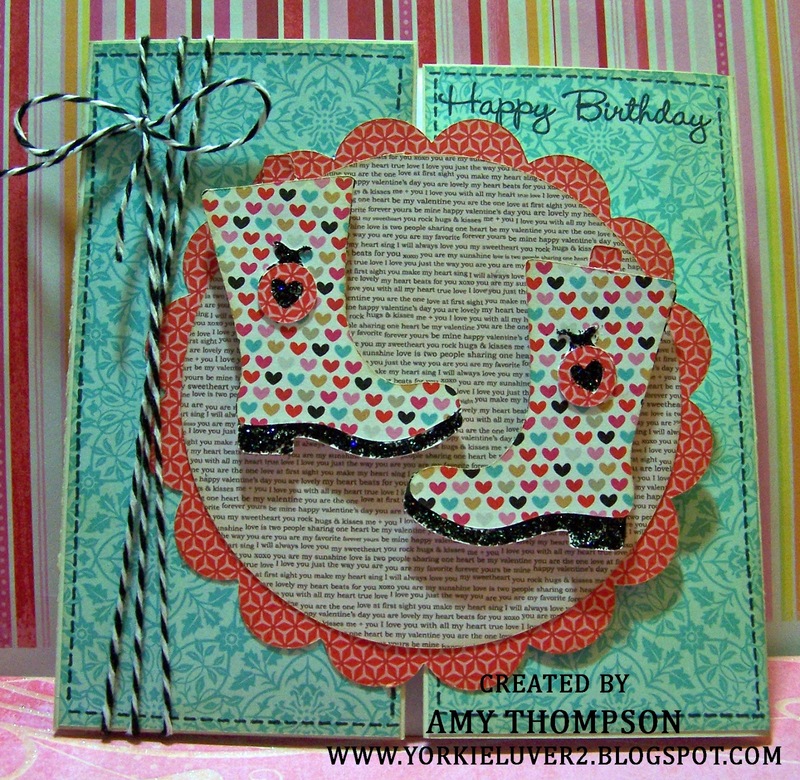 Since my husband's 40th birthday just passed I thought I have a great picture in mind to use on this layout. This was a simple layout. I cut out everything from this stack and used it to follow this sketch except for the "Happy" chipboard letters. I love the colors in this stack and think it is a stack that I am going to dust off and use more often. 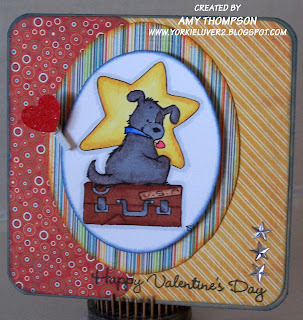 I recieved my order from scrapbooksteals.com the other day and decided that I would us it to make a card for the challenge over at Fetch A Sketch Challenge 18 and Celebrate the Occassion Challenge 51. 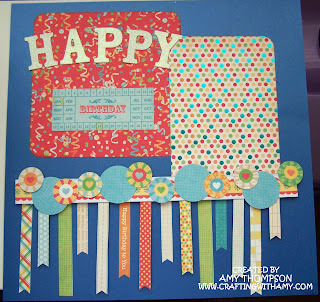 I love the colors on this paper and the fact that it is all vintage looking including the embelishments. I used some kraft cardstock from papertrey ink, used my 1/2" crop-a-dile corner chomper to round the corners, inked the edges with Distress Ink in Old Paper, and then cut the ribbon that came with this kit to follow the sketch. I think I might send this to my sister so that she knows I am thinking about her. 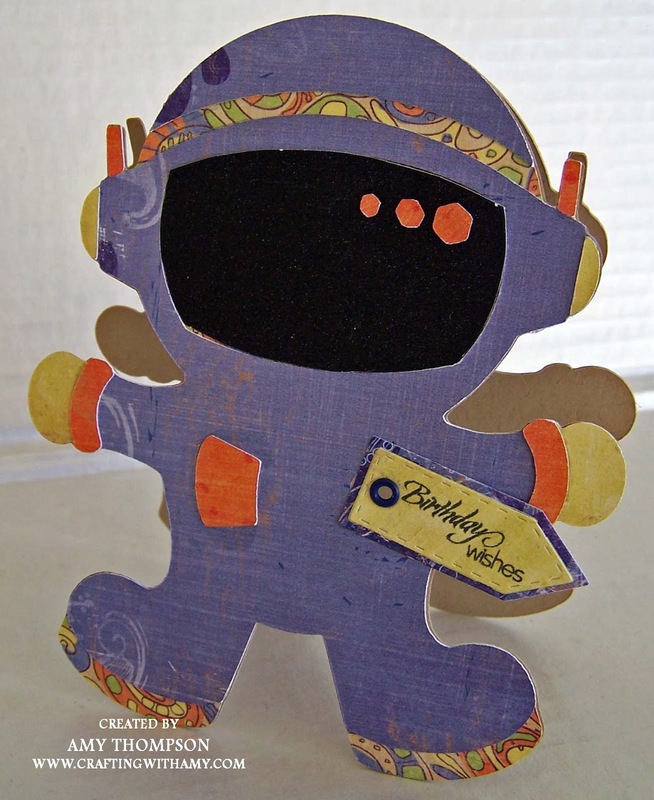 Thank you for stopping by today and I hope you enjoy my card. 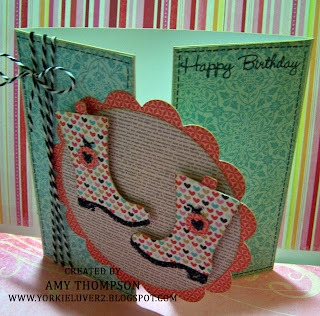 I made this card to enter in to the birthday shaped card challenge over at My Craft Spot - Challenge #45. I used my Gypsy to make this shaped card and used my new cartridge Life's A Party. It has some cute images on it and even some 3D items. 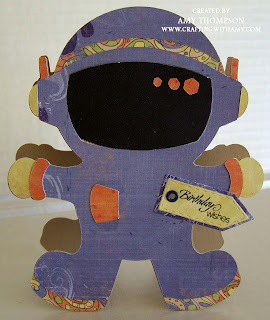 The paper I used is called Beach Bum from Fancy Pants that I bought from Scrapbooksteals.com. I think it looks kinda 70's inspired because of the colors. I think I might give this to a friends son for his birthday. Thank you for taking a look at my project today. 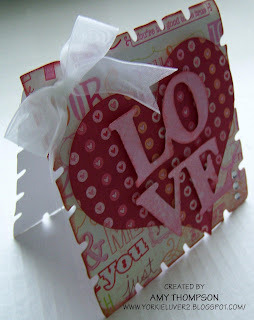 For this card I used some white cardstock and cute it at 5.5 by 11 inches. I then folded the sides at about 2 3/4 inches. I made the cute boots using my Paisley Cricut cartridge since Emma's challenge is use a bug I liked the little ladybugs on the boots although you can't really see them in the picture. 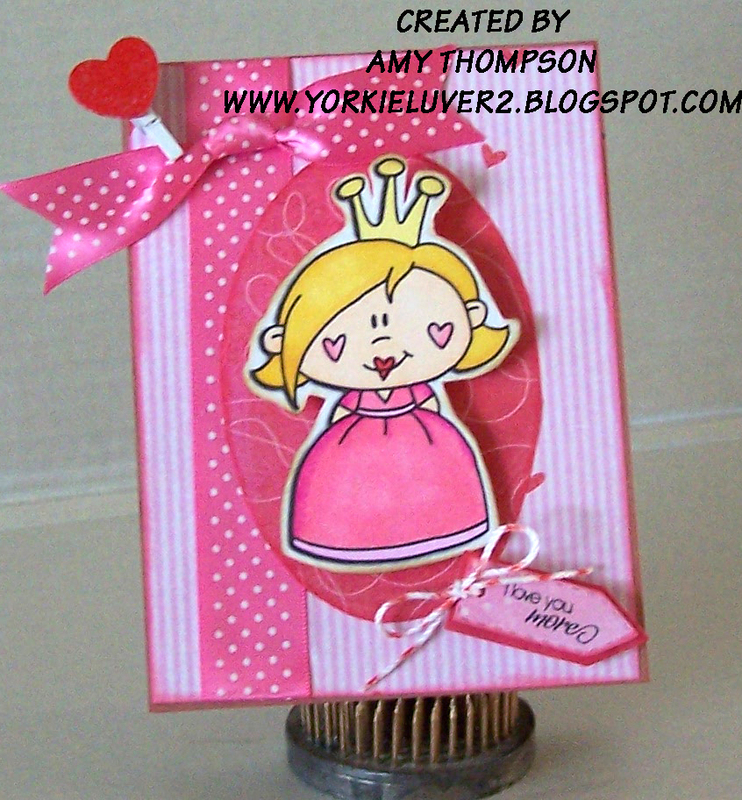 I then make the scalloped circle and circle using my Birthday Bash Cricut cartridge. I inked the edges with Old Paper Distress Ink. 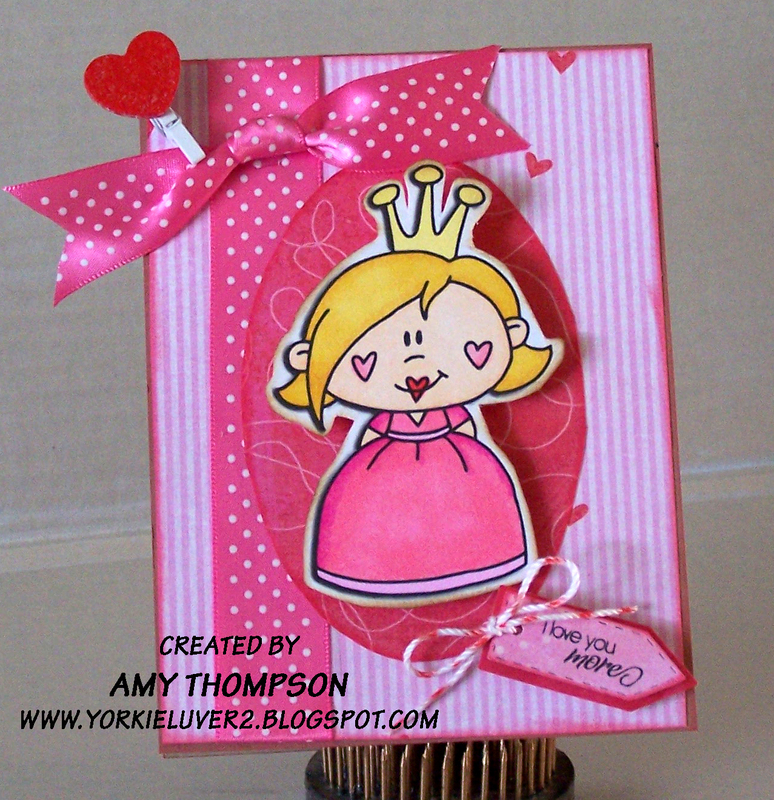 Simple, cute, easy card that I am going to give to a friend of mine for her birthday. I made this card for three challenges. They are My Creative Time Throwback Thursday Episode 312, Cupcake 179 Entwined, and Fetch A Sketch Challenge 17 . For this card I printed this digi (not sure from what company so if anyone knows please let me know so that I can give them props) and then colored it in using my Spectrum Noir markers. 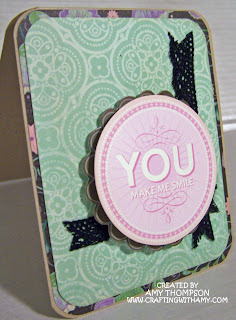 I used the Teeny Tag Greetings stamp set and die from My Creative Time. 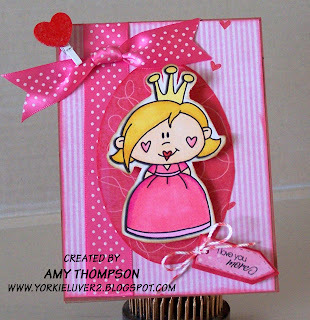 Simple Valentines card for my daughter because she is my little princess. I am really getting in to the Valentine spirit this year. I know this card isn't made with "traditional" colors but I am thinking I might give this to my hubby for Valentine's Day. I colored this image with my new favorite Spectrum Noir markers. I inked the edges using Distress Ink in faded jeans and spiced marmalade. 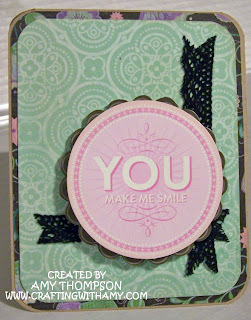 I stamped the sentiment from My Creative Time More Gift Card Sentiments and then put is all together on a 5x5 kraft card from Papertrey Ink. I am entering this card into the Valentines challenge over at Craft Room Challenge blog.